On Iammeter system, you can set the power tariff for different billing method, such as fixed rate, tiered rate and time of use rate. 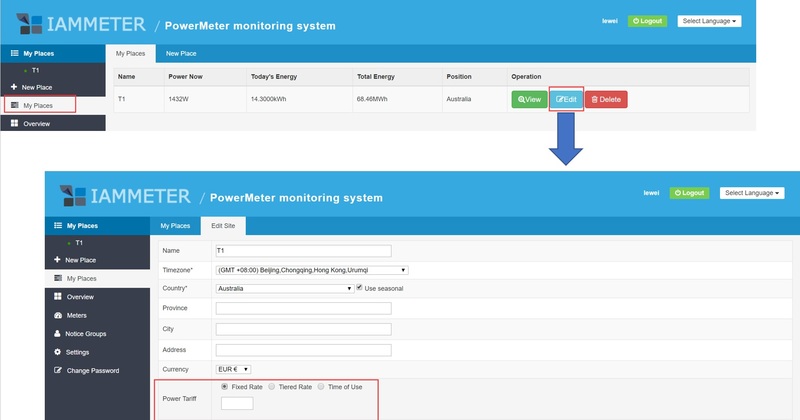 After setting it, the system will help you calculate your total power tariff and display the expense analysis. 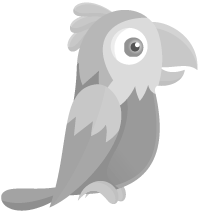 Log in to the Iammeter system, go to "My places" on the left navigation tree and then click "Edit" on the listed place. The "Site Edit" webpage is displayed. Set Fixed Rate If you pay electricity expense with fixed rate, you can select "Fixed Rate" and enter the unit price. Set Tiered Rate If you pay electricity expense with tiered rate, you can select "Tiered Rate" and enter the unit price and corresponding monthly electricity consumption. Set Time of Use Rate If you pay different electricity expense based on the time of use, you can select "Time of Use" and enter the unit price and corresponding time in a day (mid-peak, off-peak, on-peak). Go to "Overview" webpage you can see monthly bill ( billing from the 1st of this month to today) and today's bill. Go to "Report Analysis" webpage and select the month you are going to check. Click "View" then you will see the details of power tariff for that month.